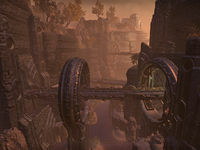 This article is about a location visited in the Morrowind chapter. 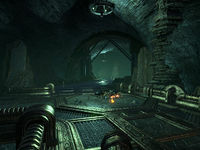 For a similar location visited in the Clockwork City DLC, see Clockwork City Vaults. 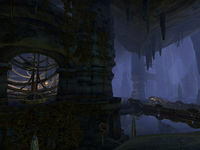 The vault that contains the City of Seht lies deep below Morrowind—but how deep, exactly? 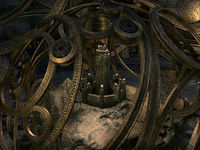 "As deep as it is possible to be," proclaims the Clockwork God. 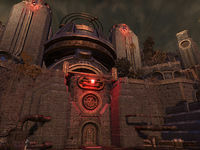 Clockwork City Vault is Sotha Sil's secret vault containing the Clockwork City. 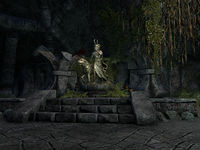 It is located in the Dwemer ruin of Bamz-Amschend, deep beneath the Mournhold Temple in Deshaan. 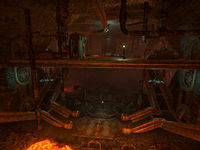 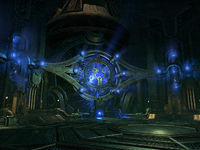 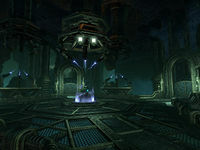 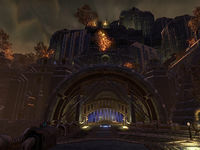 Seht's Vault is also seen the during the quest To The Clockwork City in the Clockwork City DLC, appearing as a part of the Clockwork City Vaults. 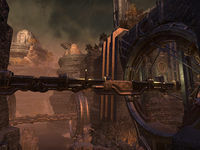 This page was last modified on 13 October 2017, at 06:53.